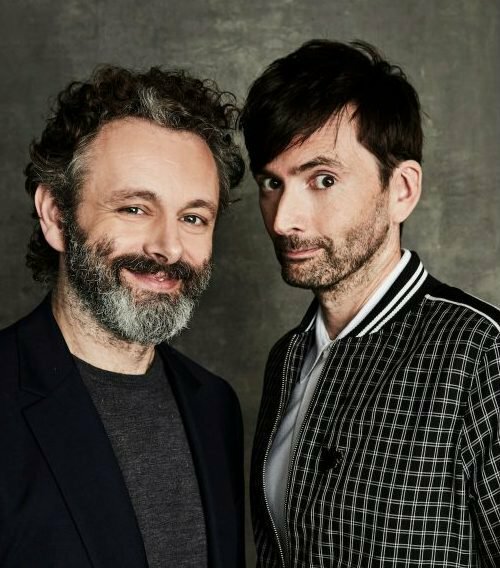 David Tennant, Neil Gaiman, Douglas Mackinnon, Michael Sheen and John Hamm attended a press day and a panel for Good Omens at the SXSW Film Festival in Austin, Texas on Saturday 9th March at 6.30pm. The panel lasted for 90 minutes and was held in the Zach Theatre which is located at 202 S Lamar Blvd, Austin, TX 78704. 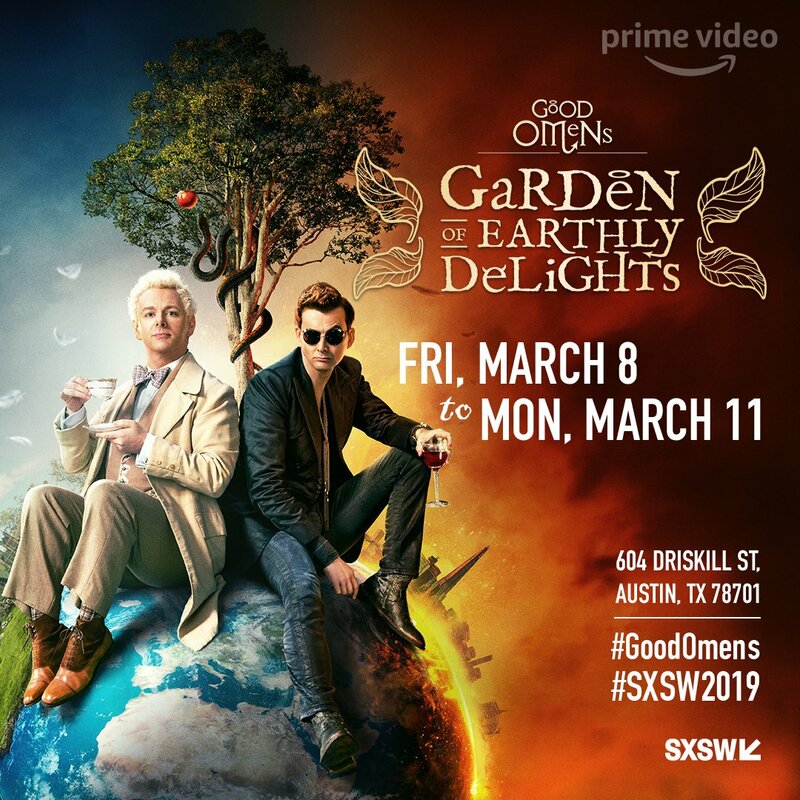 During the whole festival there was a Good Omens featured area called the Good Omens Garden Of Earthly Delights which was an immersive space of over 19,000 square feet. Festival attendees aged over 21 were able to enter the garden free of charge through a massive winged hourglass on Driskill Street. 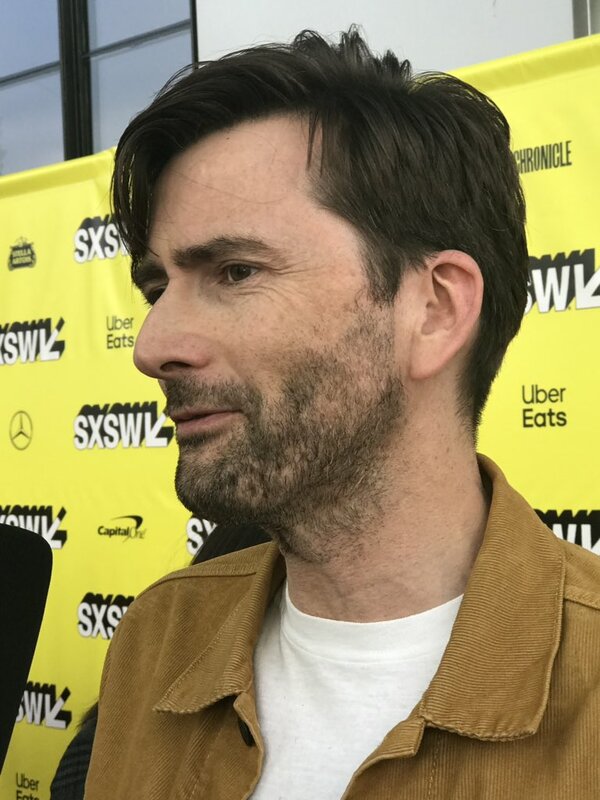 Link to posts related to David Tennant at Good Omens panel at SXSW Film Festival on Blogger.com (usually with more details).